After all, smart technology can inform you when your kids get home from school. It can alert you to a burst pipe before the damage gets out of control. It can save you money and time. Unfortunately, all that connectedness brings along some concerns. Your privacy and security may be at risk. The very definition of a smart home is that there are features that can be controlled via an app or other remote access portal, like a website. This typically requires an internet connection, so that your home devices are accessible from afar. But the minute you can access a device from the internet, someone else can, too. Here’s how to protect yourself from the risk of hacking. Your home network is the gateway to your house. Take the time to set it up properly and ask for help if you don’t know how. Always change default usernames and passwords to something that isn’t easy to guess. Turn on encryption so sensitive information is hidden from snooping eyes. No matter how hard they may be for you to remember, secure passwords are essential. Avoid obvious passwords like pet names, birthdays, kids’ names or phone numbers. It’s also important to change passwords regularly in case they have been compromised. Some devices literally record your voice or your image, while others record things like your schedule and shopping habits. All of these activities could become risks to your privacy and security. Take the time to understand how each device in your home works. When is it recording information? Is this information being sent to the manufacturer or accessible only to you? Are there visual clues or prompts that show when recording in on? What does it record? And what does the information it’s capturing tell others about your life? Know how to disable devices when necessary and find out if it’s possible to delete your personal records. Purchase a smart home security service or devices that can alert you to suspicious activities. 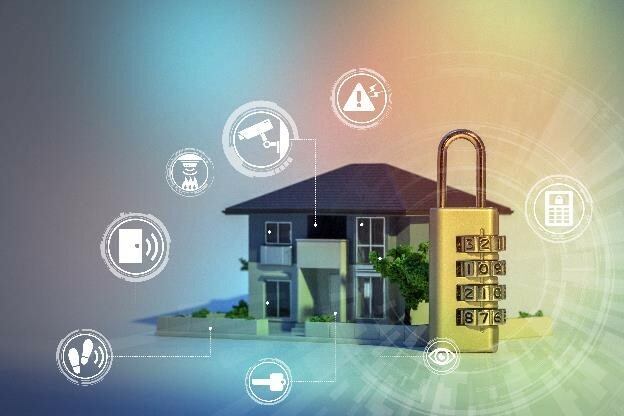 Bundle your home security and smart home automation capabilities offered by home security companies or your cable provider. They have experts who can professionally install the equipment and be on call for tech support. They also offer a lot of the bells and whistles that people enjoy in their smart homes. Although smart home tech use is on the rise, we’re still in the early stages of adoption. As popularity increases, we will start to see more security holes and breaches. While we can’t predict where those will fall, it’s best to be prepared with knowledge of the available security measures. A little bit of thought and planning can protect all your connected home devices and give you peace of mind along the way.